Engage Me has walked away with the Employee Engagement award at the International Business Excellence (IBX) Awards. The awards, which took place in Dubai on Tuesday, saw entries from over 20 countries, across four continents. In its category, Engage Me beat out a number of regional big hitters and global conglomerates. The company won for its work on a wide array of employee engagement projects, with specific focus on how our creativity helps define and develop culture. The IBX Awards, which culminate in a gala lunch, were set up to recognise business excellence across all key sectors. “Our vision was to create a level playing field for UAE firms to compete with international brands for global recognition,” said Mark Hamill, MD, Awards International. “As well as showcasing local talent, we’ve also seen a record number of international firms enter this year, making these our most competitive IBX Awards to date – so our winners have had to work extra hard to finish ahead of the field”. To make the finals, businesses submitted a written entry that was scored against a number of key criteria by an expert panel of judges, made up of local and international business leaders. Finalists were then invited to present their case in front of the same panel of judges and face questions. Each presentation was marked against several key criteria, with the winner receiving the highest overall score in each category. 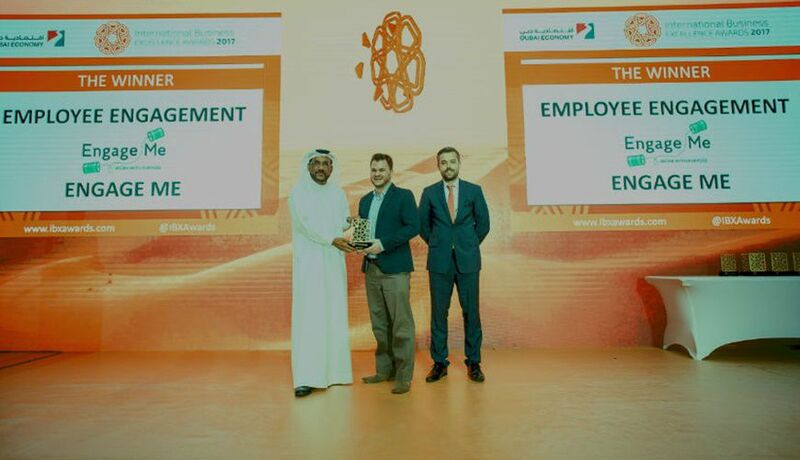 The award was presented by Mr. Ali Ibrahim, Deputy Director General at Dubai Economy.